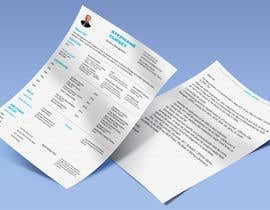 Looking for someone to create a well-designed Resume for a person who is a Media Producer + Solutions Architect + Digital Strategist. 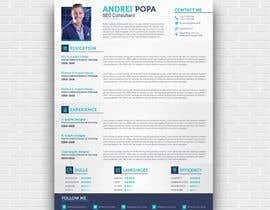 Looking for someone to make a Resume using Adobe CC, and populating it with all the relevant information from a LinkedIn profile (at: [login to view URL] ) + older version of the resume. The selected person will be working with me to further hone it with new experience that is not yet been added to by resume/profile. I have outlined some of the designs I would liked. The second from left ones is what i like. Please feel free to showcase your creativity. I love out of the box ideas. The person proposing the most relevant design that captures all my experiences and portrays my interdisciplinary background while highlighting my Media Production and Technical Skills wins the contest. Pretty excited for what you guys have in store. Please make sure to check the template files provided as that will give you a good idea about the kind of work I am looking for. Please refer the linkedin profile and the resume from 2016 to build something like the ones in the 2017 file. Please do not send generic resumes off the internet, as they will not be accepted as a valid submission. did you see the samples posted?